With the demise of BlackBerry, the smartphone market for business consumers has become a hotly contested one. For a while, the main factor for large companies was the security of the device itself. BlackBerry has always been the industry leader in security features, which allowed them to stay alive far longer than they otherwise would have. Even today, many large corporations and government agencies continue to use BlackBerry devices for their perceived security benefits. With security features increasingly becoming a given, the ability of large organizations to collaborate using their smartphones and tablets will become a primary function of the devices, making collaboration applications a key part in choosing an OS. Both Apple and Android know that winning this market in the near-term will set a precedent that might never change (just look at Microsoft’s decades-long dominance of the PC market thanks to early adoption by the government and large corporations). This has appropriately caused massive growth in the number and functionality of collaboration applications available to consumers. The following is a list of the most impressive collaboration applications currently available on Android devices. 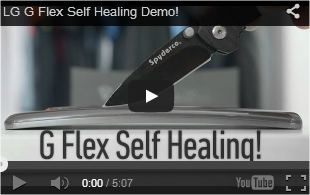 Few collaboration applications show the future of mobile computing better than Fuze Meeting. This application lets users conduct a video or audio meeting from their mobile devices. 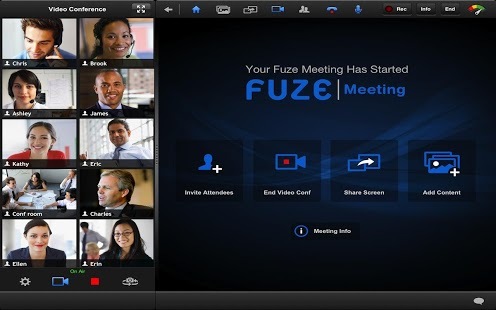 Fuze meeting is doing to mobile video conferencing what Skype did to desktop video conferencing. By making it easier to communicate regardless of geographical location, co-workers can collaborate on a project together from anywhere in the world. Fuze Meeting works with both desktop computers and mobile devices, so everyone can communicate with each other on the biggest screen they have available to them at the time. In addition, Fuze Meeting includes a number of real-time collaboration features, such as screen sharing and document viewing, making it perfect for everything from group projects to seminars and presentations. Dropbox has long been the standard-bearer of cloud based collaboration software. Dropbox gives its users access to 2GB of free cloud-based storage drive (with additional storage available to purchase) that can be used to store and share documents with anyone in the world. Dropbox can be accessed via mobile devices like a smartphone or tablet as well as through a web browser on a desktop. Files and folders on a Dropbox drive can be organized the same way they would on a traditional hard drive, so it is easy to organize large numbers of files. While Dropbox is still the biggest name in cloud-based storage, Google has added significant functionality to their own cloud based collaboration suite, particularly in how it connects to their own Android mobile operating system. Google Drive allows users to create word documents, spreadsheets, and slide shows on a cloud based server that can be shared with multiple users. 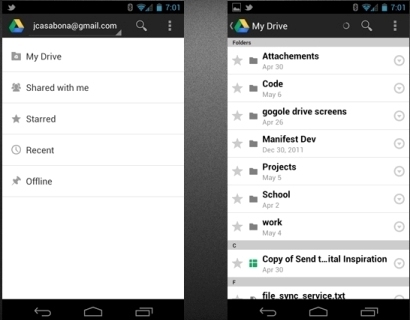 What makes Google Drive really stand out is the ability of users to interact in real time. 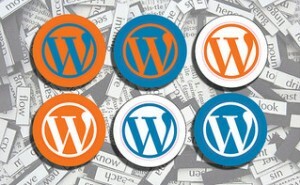 Documents can be viewed simultaneously, with changes made by each user appearing in real time and credit going to the user making the change. There is also an extensive “undo” feature, which helps with issues that can arise from two or more users making changes to the same section of a document at the same time. An extra feature makes Google Drive even easier to use is the ability to share documents with individuals that do not have a Google account themselves. By sharing specialized link and login information via e-mail, users can share documents with anyone. This is particularly useful when users are sharing documents with co-workers using a corporate e-mail address.